This photo was taken after three of our students took their black belt test. 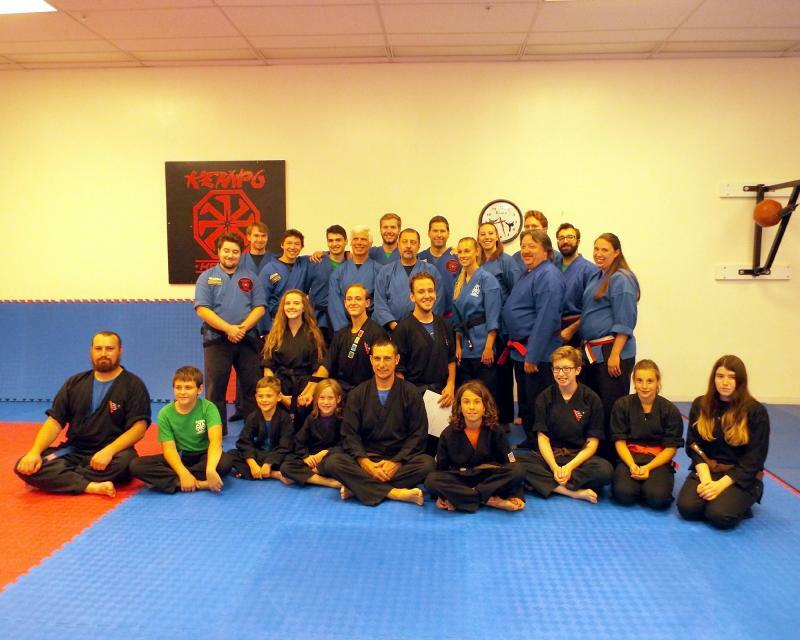 The Instructors are in the blue tops; our newest black belts are kneeling; and some of our students who helped during the test are sitting in front. What can we do to help our children survive??? 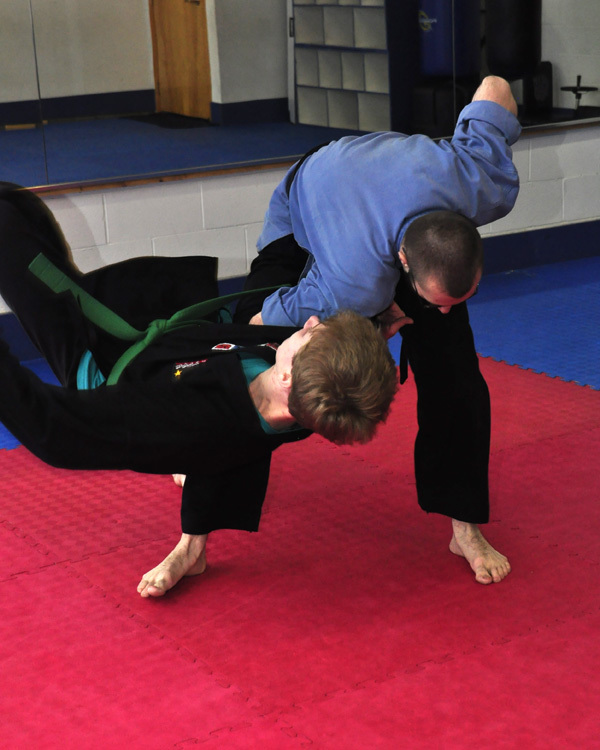 At Kempo Martial Arts Academy, we have adapted a Leadership Program to our curriculum. This character building program works; I've seen it change lives. Since Kempo Karate is a Japenese hard style karate, we only allow Black Belt instructors to teach classes. Our style of karate is broken into three segments: the art or fundamentals of karate which consist of drills and exercises that promote balance, strength, coordination and self-discipline; sport karate (tournament training) which includes katas (a series of defined forms) and controlled sparring; and street techniques which include throws, joint controls or locks, strikes, awareness and escape techniques. During the year, the school sponsors many different family events, such as: movie nights, Christmas party, seminars, charity fund raising events and much more. Students have a number of responsibilities on a monthly basis. They are required to do at least eight classes per month for perfect attendance. Perfect attendance is required for all promotions. Activity sheets from the Leadership Program must be completed and handed in by the end of each month. The first Thursday of every month is Awards Night, starting immediately after the second class. This is when students who have passed their belt test are awarded their new belts, earned patches are handed out, and everyone who has attained perfect attendance for the month is given a treat.